We hold that a defendant has the right to insist that counsel refrain from admitting guilt, even when counsel’s experienced-based view is that confessing guilt offers the defendant the best chance to avoid the death penalty. Guaranteeing a defendant the right “to have the Assistance of Counsel for his defence,” the Sixth Amendment so demands. Just as a defendant may steadfastly refuse to plead guilty in the face of overwhelming evidence against her, or reject the assistance of legal counsel despite the defendant’s own inexperience and lack of professional qualifications, so may she insist on maintaining her innocence at the guilt phase of a capital trial. McCoy at 6. After all, the Court noted, the Sixth Amendment gives a defendant the right to counsel to assist in “his defence.” Id. at 7 (emphasis in opinion). For this reason alone, the Court properly reversed. The United States Supreme Court disagreed with the Louisiana Supreme Court’s reliance on Rule 1.2(d): “Louisiana’s ethical rules might have stopped [the defense lawyer] from presenting McCoy’s alibi evidence if [he] knew perjury was invovled.” Id. at 10. But the McCoy matter did not present a case of perjury. As the United Supreme Court correctly noted, McCoy’s lawyer “harbored no doubt that McCoy believed what he was saying.” Id. at 10. As a result, he believed that McCoy lacked the specific intent to deceive, an indispensible element of most perjury statutes, and did not violate Rule 1.2(d) by assiting in perjury. Further, as a factual matter, the defense lawyer’s “express motivation for conceding guilt was not to avoid suborning perjury, but to try and build credibility with the jury.” Id. at 10. For these reasons, Rule 1.2(d) had merely hypothetical—rather than actual—application to the McCoy matter. 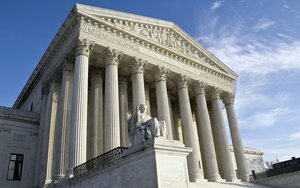 More interesting professional-conduct questions arise, however, from other conclusions of the United States Supreme Court. The Court concluded that the defense lawyer called McCoy to the stand and elicited testimonly about an alibi that the Court branded “difficult to fathom.” Id. at 4. Further, the Court concluded that the lawyer “disbelieved McCoy’s account in view of the prosecution’s evidence.” Id. at 10. Thus, it appears that McCoy’s lawyer offered material evidence that he either knew or believed to be false. And he has suffered no disciplinary consequences for doing so. Did McCoy’s lawyer violate the Louisiana Rules of Professional Conduct? On the one hand, defense lawyers often try impossible cases against overwhelming evidence. They don’t violate professional-conduct standards by simply putting the prosecution to the task of satisfying its heavy burden of proof—even if the defense is frivolous. See La. Rules of Prof’l Conduct r. 3.1 (“A lawyer for the defendant in a criminal proceeding, or the respondent in a proceeding that could result in incarceration, may nevertheless so defend the proceeding as to require that every element of the case be established.”). Moreover, Rule 3.3(a)(3) prohibits a lawyer from refusing to offer “the testimony of a defendant in a criminal matter that the lawyer reasonably believes is false.” See La. Rules of Prof’l Conduct r. 3.3(a)(3) (emphasis added). On the other hand, calling a witness to the stand to offer evidence that the lawyer “knows” to be false is conduct—or misconduct—of a different order.2 The Rules prohibit a lawyer from offering “evidence that the lawyer knows to be false,” and require a lawyer to take “reasonable remedial measures” when the lawyer later comes to “know” that he has offered false material evidence. See La. Rules of Prof’l Conduct r. 3.3(a)(3). If McCoy’s lawyer “knew” his client’s alibi was false (irrespective that McCoy himself delusionally believed it to be true), then Rule 3.3(a), required the him to “take reasonable remedial measures,” including disclosure to the tribunal. Although the Court correctly observed that there was no “avowed perjury” by McCoy, McCoy at 9, surely his lawyer “knew” that McCoy’s testimony was false. To conclude otherwise would be folly. So back to our question: should McCoy’s lawyer have suffered disciplinary consequences for what he did? In my view, no, at least not for calling McCoy to the stand and thereafter doing nothing to correct any unanticipated falsities.3 McCoy’s lawyer undoubtedly “knew” that his client’s testimony was false. But according to the Court, he gained that “knowledge” simply by drawing reasonable inferences from the prosecution’s evidence. Under these circumstances, there were no remedial measures that he could have taken that would have been “reasonable.” The tribunal and the prosecutor already had all of the same information and evidence. In short, everyone knew McCoy’s story was false—no one needed McCoy’s lawyer to tell them. If McCoy’s lawyer should be disciplined for anything, it is because he disregarded his client’s autonomy by failing to comply with Rule 1.2(a). That rule requires a lawyer to “abide by a client’s decisions concerning the objectives of the representation.” Here, that standard required McCoy’s lawyer to refrain from overriding McCoy’s ill-advised—but autonomous—decision that an important objective of the representation was to fight guilt.